Enjoy this cocktail of myriad prints this summer season to quench your thrust for Avant grade style. 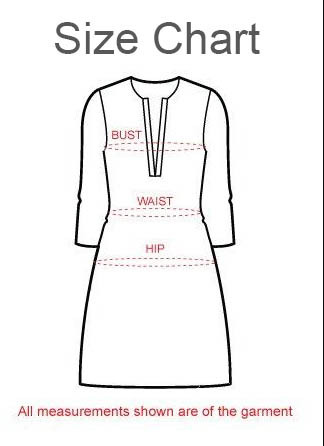 This cotton tunic has a Chinese collar with a few buttons attached to it. The kurti is horizontally conquered by a variety of prints, while the sleeves are black and come with slim red borders that look ravishing in themselves. 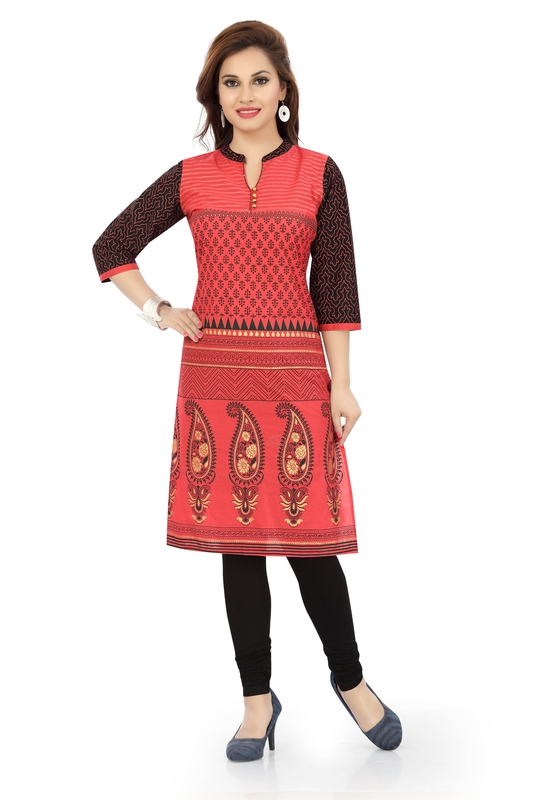 A black legging will go effortlessly with this tomato red kurta by Snehal creation.